Who needs a cup of coffee? The answer apparently, is owls. No wonder they stay up so late! 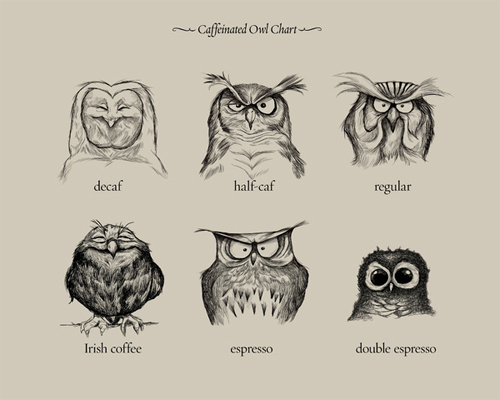 Especially that double espresso caffeinated owl up there. He looks like he needs a biscotti to peck at. Art by Dave Mottram. Visit Dave Mott’s Shop. You Pop It Popcorn Popper By Just Pop It!